Physiological changes (such as heart rate and respiration rate) associated with strong pharmacological stimuli could change the blood-oxygenation-level-dependent (BOLD) functional magnetic resonance imaging (fMRI) mapping signals, independent of neural activity. This study investigates whether the physiological changes per se associated with systemic cocaine administration (1 mg/kg) contaminate the BOLD fMRI signals by measuring BOLD and cerebral blood flow (CBF) fMRI and estimating the cerebral metabolic rate of oxygen (CMRO2) changes. BOLD and CBF fMRI was performed, and changes in CMRO2 were estimated using the BOLD biophysical model. After systemic cocaine administration, blood pressure, heart rate, and respiration rate increased, fMRI signals remained elevated after physiological parameters had returned to baseline. 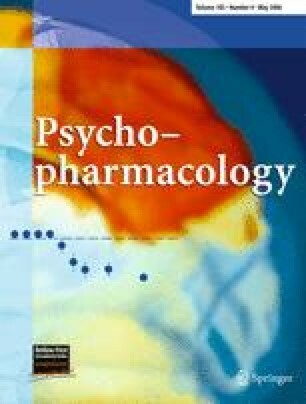 Cocaine induced changes in the BOLD signal within regions of the reward pathway that were heterogeneous and ranged from −1.2 to 5.4%, and negative changes in BOLD were observed along the cortical surface. Changes in CBF and estimated CMRO2 were heterogeneous and positive throughout the brain, ranging from 14 to 150% and 10 to 55%, respectively. This study demonstrates a valuable tool to investigate the physiological and biophysical basis of drug action on the central nervous system, offering the means to distinguish the physiological from neural sources of the BOLD fMRI signal. This work was supported in part by research grants from the National Institute of Neurological Disorders and Stroke (NINDS, R01 NS045879), the American Heart Association (SDG 0430020N), and the National Institute on Drug Abuse (NIDA, R01DA13517). All experiments were performed in accordance with guidelines for the care and use of mammals in neuroscience and behavioral research (National Research Council 2003) and in compliance with the laws of the United States.